Here at this page, you’ll have PCST Jobs 2019 Pakistan Council for Science and Technology Islamabad. 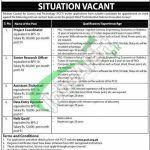 Jobs in PCST Pakistan Council for Science and Technology working under the Ministry of Science and Technology are available and it is seeking for highly educated, very experienced, hardworking and well-disciplined candidates for the following positions. Jobs in Pakistan Council for Science and Technology is such as (Project Coordinator, Senior Research Officer, Assistant (Technical), Data Entry Operator, Naib Qasid). Appointment of an above-mentioned position will be held on a contract basis and it is extendable on satisfactory performance and all positions are for a project named as "First Industrial National Innovation Survey". Candidates willing to apply should have domicile of Punjab, Sindh, KPK, Balochistan and FATA and also compare themselves with the eligibilities mentioned in the image posted below and according to the criteria candidates having qualification, Matric to Ph.D. are eligible to apply. For eligible candidates have provided how to apply procedure in the following heading. Candidates may download the application form from the official site of PCST. Duly filled application form along with attested copies of educational certificate, experience certificate, CNIC, Domicile and recent photographs should reach on the following address given below. Incomplete applications or applications not received through the proper channel will not be entertained. Candidates already working in the Government Sector should apply through proper channel. Only shortlisted candidates will be invited for test/interviews and no TA/DA will be admissible for the test/interview. 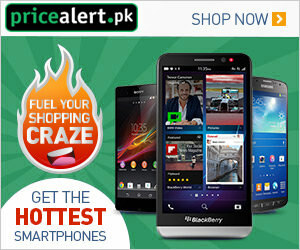 Address: Pakistan Council for Science and Technology Shahrah-e-Jamhuriat, Sector G-5/2, Islamabad.